First, the hands: It’s all Sandy’s fault. When a perfectly brilliant idea is put right in front of me, I pay attention. Fetching, from the Summer 2006 Knitty. For two Fabulous R’s. By Rhinebeck. Sure. This is a fun pattern to knit, and the Cashmerino is a knitting de-light. 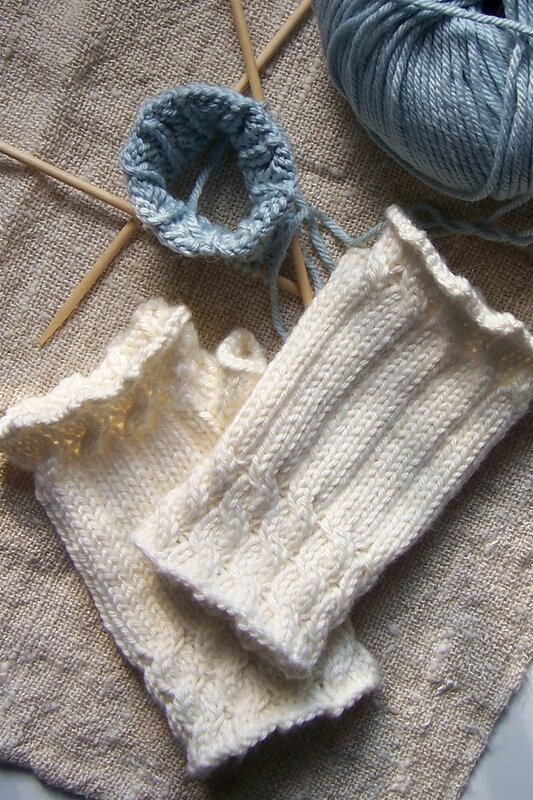 This first creamy pair is just off the needles, and needs a little wash ‘n set. Do these qualify as mittens, for the Warm Hands Knitalong? Sandy? Then, the feet: I’ve made a good start on my next sock project, the one I’m taking on the road. It’s Fleece Artist in Indian Summer. 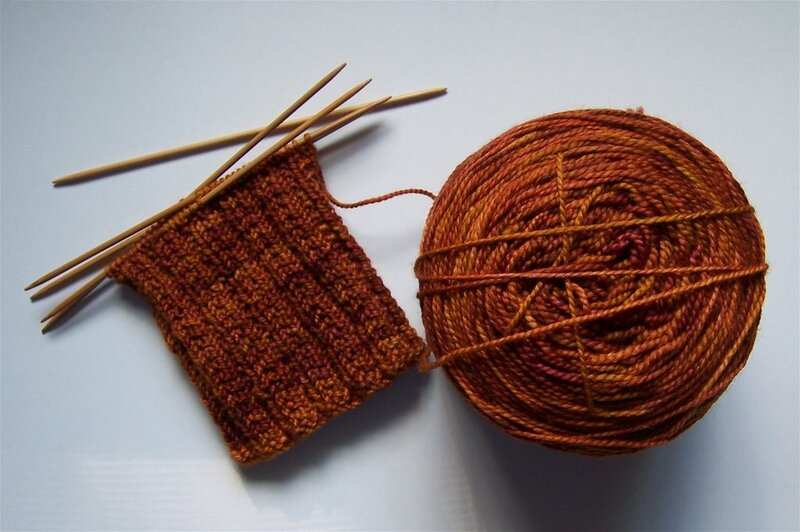 The cuff stitch is Twin Rib from Sensational Knitted Socks — simple, stretchy, and perfectly suited to the yarn. And what a perfect color this is! I’ve been saving it just for this time of year. Wow, I love the colours in those socks! Looks like you must have happy hands these days. I did Fetching a while back and loved it, though I will say it took me more than a ball, so I think I’ll do another pair on smaller needles. Hmm! That sock yarn is so gorgeous! It looks like you have your hands and feet well cared for. I love the color of your sock yarn!